Physical therapy for neck pain is one of the most widely recommended conservative treatment options, regardless of the working diagnostic theory. Physical therapy is also used for neck injury rehabilitation and postoperative recuperation, as well. In some cases, PT can be a fantastic addition to a combined care program. However, in others, it is simply an unenlightened waste of time and may even be used to help justify unnecessary neck surgery in some instances. The scope of this article will discuss the best and worst uses for physical therapy in treating a variety of neck and cervical spine conditions. PT is a general term reserved for treatments offered by a qualified physical therapist or PT assistant. In most cases, this will consist of exercises and stretches which are performed in the effort to decrease pain and increase overall functionality, including range of motion, flexibility and muscular strength. PT might be accomplished using a wide range of modalities including: calisthenics, isometrics, resistance training, cardio-vascular conditioning and activity-related fitness applications. Some of the most popular variations of the last category include swimming, hydrotherapy, tai chi, yoga and Pilates. Many therapists also integrate other healing methods into care, including TENS use, massage, chiropractic and dietary alteration and enhancement. In most scenarios, the simplest definition of PT means that the patient will use a combination of neck exercises and fitness activities in an attempt to fulfill a particular goal, typically pain relief, functionality improvement or surgical recovery. PT is great because it is all natural and holistic. Almost all methods of care utilized are actually good for you and might provide overall health improvement. PT does not utilize drugs, and therefore, avoids the many problematic side effects of pharmaceutical therapy. PT is noninvasive and nonsurgical, eliminating the risks of these drastic methods of care. For many injuries, particularly to the soft tissues of the back, PT offers a great hope for proper and complete rehabilitation. When used appropriately, PT will help heal injuries and rebuild the structural integrity of even the most damaged areas of the anatomy. This also holds true for trauma due to surgery. Physical therapy is a great way to speed the healing process after an operation and regain full and unimpeded function. In a great many circumstances, PT is prescribed illogically. If the diagnosis consists of a spinal structural issue, such as stenosis, disc prolapse or arthritic deterioration, what is the real purpose of exercise therapy? Will it re-shape the internal anatomy of the spine? Of course not. In most cases, PT is recommended to make someone some money and when it fails, can be used as evidence to justify surgical intervention. This is the side I see of PT for chronic neck pain more often than not. Physical therapy for neck pain is often utilized when there is no definitive diagnosis. This can be a risky proposition, since without a known definitive causative mechanism, the results of any treatment are extremely unsure and may prove counterproductive. Finally, PT can be purely symptomatic in nature, especially when the source of pain is unlikely to resolve despite active care. While this is still preferred to ongoing drug treatment, the patient must have the right to know that PT will not cure them in these instances. Few patients are ever informed of this fact prior to beginning treatment. We like PT for indicated conditions. We think it is well suited for injury and surgical rehab and is perhaps the best performing modality in these instances. 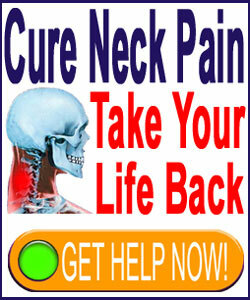 We do not like it for chronic pain or many of the common neck pain diagnoses involving spinal alteration. We must comment on the fact that PT does indeed provide temporary benefits to many chronic pain sufferers. The reason for this, especially when the working causative theory is a structural source of symptoms in the spine, is usually efficacy due to misdiagnosis. Exercise will increase localized circulation and therefore oxygenation. Therefore, recurrent temporary positive effects after exercise are likely to involve ischemia as the true cause of neck pain, rather than whatever structural scapegoat is currently taking the blame. This is an important consideration for every patient to ponder if they find relief which lasts a short time, but never achieve a cure.